BERLIN -- Volkswagen Group said first-quarter operating profit rose 40 percent even as its vehicle sales declined, a sign that cost cuts are materializing as the automaker pushes to overcome its emissions scandal. Quarterly group operating profit increased to 4.37 billion euros ($4.77 billion) from 3.13 billion a year ago, VW said on Wednesday. Results were helped by improving cost savings at VW's troubled core division, the carmaker said, sticking with expectations for the full-year group operating margin to come in between 6 percent and 7 percent after 6.7 percent in 2016. 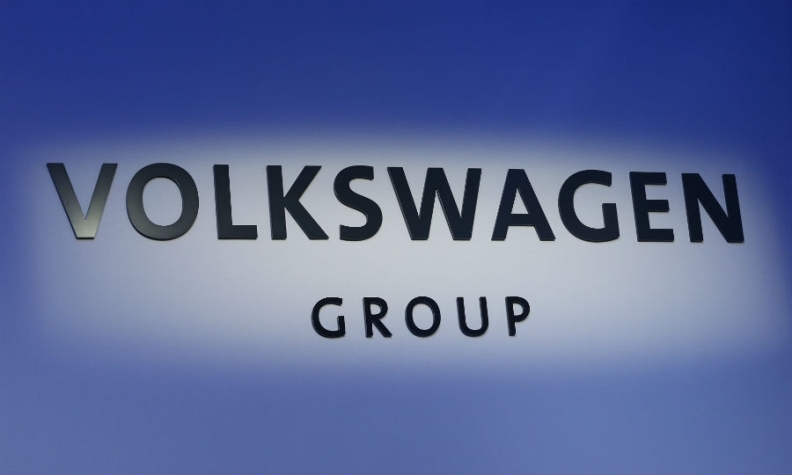 Group sales revenue rose by 10.3 percent to 56.2 billion euros, VW said. The operating return on sales was 7.8 percent, up from 6.1 percent. "Our efforts to improve efficiency and productivity across all areas of the company are paying off," VW Group CEO Matthias Mueller said in a statement. "These quarterly results represent the first tangible results" of Volkswagen's spending discipline in the wake of the diesel crisis, Chief Financial Officer Frank Witter said in the statement. VW said the "robust" results were due to volume and mix-related factors, positive exchange rate effects and product cost optimization, along with an improvement in the VW brand’s earnings, which rose to 869 million euro from 73 million a year earlier. Other group brands had mixed results with the Porsche luxury unit and the Skoda and Seat volume brands posting increases while Audi's profit fell and Bentley's loss narrowed. Audi's operating profit dropped to 1.2 billion euros from 1.3 billion as VW's biggest earnings contributor is pushing new models and technologies. Skoda's profit rose by 32 percent to 415 million euros while the Seat brand's profit increased to 56 million euros from 54 million. Bentley's loss narrowed to 30 million euros from 54 million. Improvements in the mix and positive exchange rate effects lifted Porsche Automobile's operating profit to 932 million euros from 855 million, VW said. Investors have said a turnaround at VW's namesake brand, which traditionally has been saddled with high fixed and r&d costs, is key to turn the automaker into a more appealing business, although VW last year eclipsed Toyota as the world's biggest selling carmaker. VW Group's long-term goal is to lift the brand's operating profit margin to 4 percent by 2020 and 6 percent by 2025 from 1.8 percent last year, still lagging French rivals PSA Group and Renault. Evercore ISI said the quarterly numbers were strong with the VW brand reporting a margin of 4.6 percent, Audi a "solid" 8.7 percent margin, Skoda "outstanding" 9.6 percent profitability and the Seat brand a "nice" 2.3 percent margin. "Porsche continues to report 'Ferrari-style' profitability of 18.5 percent," Evercore said in a note to investors. Volkswagen has set aside 22.6 billion euros so far to cover fines, buybacks and repairs stemming from the diesel scandal, with the bulk of those funds flowing out this year.